What?! Thais use canned tuna in their cooking and still make it taste like a flavor explosion of healthy goodness?! 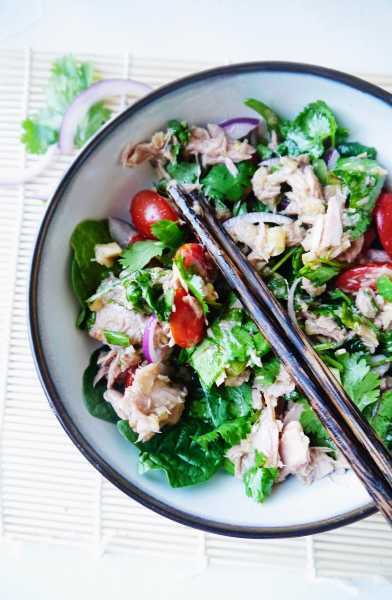 Yum Tuna, aka Thai Tuna Salad, is so jam-packed with flavor you would never guess the leading character to be good ol’ canned tuna. It just goes to show that Thais can take any ordinary food, and transform it into a thing of beauty. But in Thailand, canned tuna is not ordinary and what you throw on crackers for a cheap lunch like you would in America. It’s only what “hiso” aka high society people can afford. For an average Thai like Dom’s grandma who lives in Sukhothai in northern Thailand, buying a can of tuna would be a luxury, that she would only do on special occasions, which I didn’t realize until I made Yam Tuna and my Thai Hubby mentioned it. It makes me want to bring back his grandma a few pounds of canned tuna on our next visit to Thailand, so she can feel like a queen! You want to live the luxurious Thai life too right? Here is your chance! 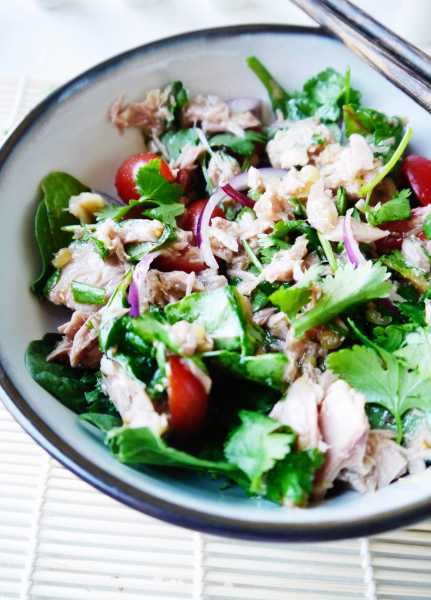 Try Thai Tuna Salad today, and live it up! Lemony lemongrass, spicy Thai chilis, crisp red onion, ginger kick, cool kale, fresh cilantro and of course a little garlic and fish sauce...and canned tuna. 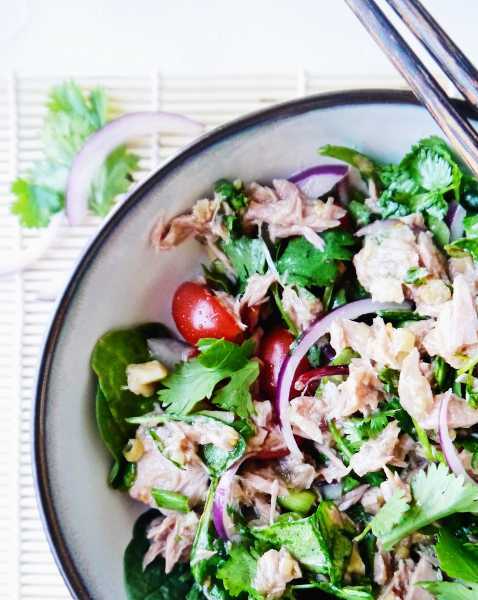 Thai tuna salad is the best tuna salad you've ever had! Add Thai Tuna Salad dressing ingredients to a small pan over medium heat. Stir until the sugar dissolves, probably 30 seconds or so. 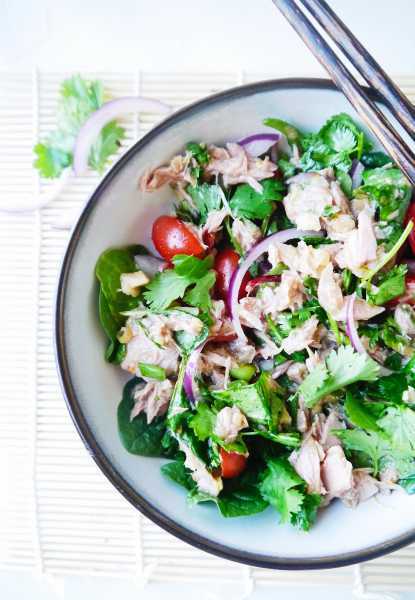 Add the Thai Tuna Salad ingredients to a bowl, and mix until well combined, right before serving. 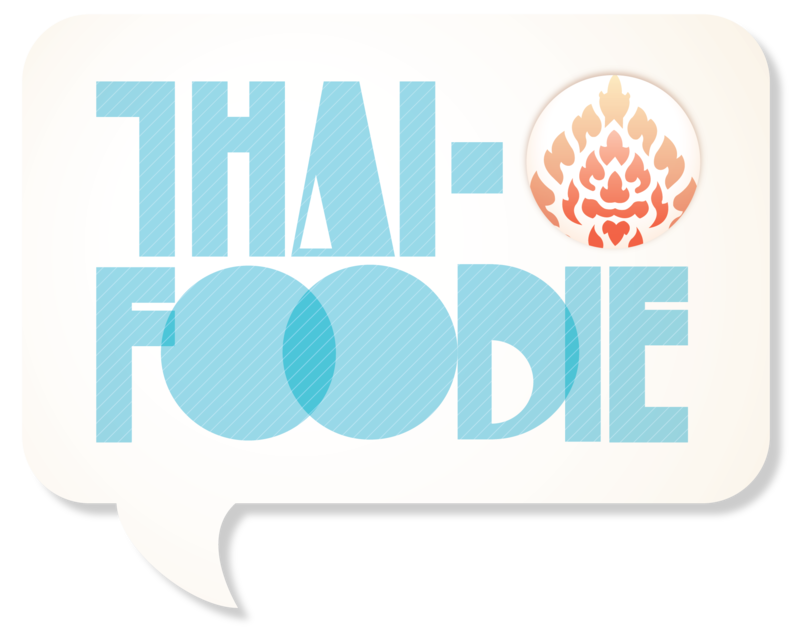 We like to eat it Thai-Style alongside jasmine rice and other delicious Thai dishes, but it's also good on it's own for lunch!